Guaranteed secure pickup and delivery done by Morgan. File Storage is about security, accessibility and value. Our imaging department provides personal service in converting your documents from hard copy to a digital format that you can easily access online. Morgan Records Management’s mission is to provide our customers with services and solutions that reduce costs while exceeding customer expectations. We have many services but all may not fit your needs. We’ll customize our services to your needs to maximize efficiency and product workflow. From truck to transfer, we do the unimaginable. Providing ongoing improvements to our services to keep your data secure and protected. We provide the following services but are not limited to; Books, oversized maps, historical documents, microfilm, business cards, manufacturing coupons, x-rays, etc. We take the projects that others won’t. We specialize in finding solutions for our customers and filling the gap of their needs. Pension Technology Group has been utilizing Morgan Records Management for the past several years and it's been a pleasure working with them, their management staff and operations team are always on top of our projects and make sure to keep us informed of the status of our projects. Highly recommended, won't find another company in the industry that's as accommodating and willing to do what it takes to get the project done. We had Morgan Records Management help us with a clean out of our office paperwork that had been in the office for over 20 years. They helped us haul away old papers to be shredded but also ones we wanted to scan and digitize. They were super helpful in us becoming more efficient in our bookkeeping! 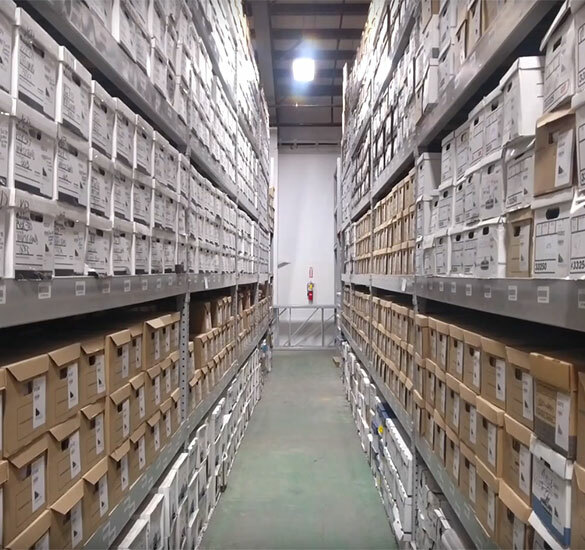 The ability to maintain, manage, and store large amounts of information is a necessity in many different businesses and Morgan Records enables this entire process making sure that everything is safe, secure, and easy to access. Quick response times with an excellent I.T. department answered all inquiries brought forward to ensure all business needs were not only met but exceeded.